I was walking Maya, my black Labrador, yesterday, when, there ahead of me was a large overhanging blackberry bramble, laden with rich, ripe fruit. Without further ado, I began filling a plastic bag with these most luscious sweet berries (dog owners always have a clutch of plastic bags in their pockets). You know how sometimes blackberries look lovely, but almost as soon as they touch your tongue, you can taste your bitter error? Well, these were surprisingly good. There were whole brambles filled with berries for me to plunder ... and then it happened, the sunshine and the berries and reaching for the fruit conspired to open the door to a tunnel of memories. As most of you who have read this blog over the years might know, I was raised in the country of Kent, England, in a rural area surrounded by farms. My mother worked on the farms when I was younger – farm work was the best job for women, because it was seasonal and you could bring your kids out to the fields in the school holidays. It wasn’t bad for the kids, either, because not only were you outside in the fresh air, but you could earn a penny or two, especially in the summer, and especially fruit picking. 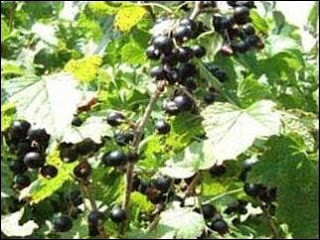 Although I would pick any fruit if I was paid to do it, even as a youngster I preferred blackcurrant picking – it was a far easier fruit to pick than strawberries, blackberries or loganberries. This story is about my first grand adventure blackcurrant picking, and one of the first memorable lessons in life. I was six years old and I wanted a Cinderella watch. 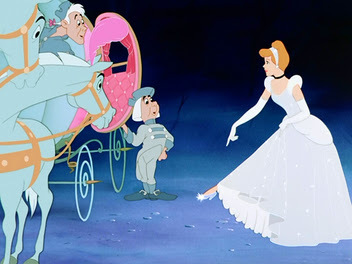 I know – what the heck is a Cinderella watch? 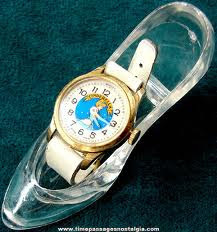 Well, it was a fancy girls’ watch with a picture of Disney’s Cinderella on the dial, and it came packaged in a glass shoe. I think, really, I wanted the shoe. I would pass the jewelers on my way to the bus stop after school, and I would linger there to look at the watch, my face pressed against the window. I could almost feel that watch on my wrist, and I knew the glass shoe would be so cool and smooth to the touch. But as my mother said when I told her how much I wanted that watch, “Now you know what it is to want. Call it an experience.” She had a point. Some time passed, then one day she said, “Well, blackcurrant picking’s coming up – you could earn your watch you know, if you want.” I said yes straightaway. So we came to an arrangement – I would pick fruit with her in the mornings, and I would play with all the other kids in the afternoons. She made up a small businesslike workbook for me, an imitation of the cards given to the pickers to record the weight of fruit picked – you were paid by the number of pounds picked in a day. Let me try to paint a picture for you of the atmosphere out in the fruit fields. Women arrived in the morning, around half past eight, either on their bikes or pushing prams, but all carrying heavy bags with their sandwiches, bottled orange squash (OK, it’s a British thing …), and whatever comestibles would keep everyone fed and watered during the day. There would be upwards of thirty, forty, fifty women arriving for the picking, all accompanied by children, with the older children tasked with looking after the younger ones. You never knew who would be giving the orders, because you just paid attention to any adult or big kid who told you what to do. It was colorful, invariably warm and humid, and even during the picking, the talk back and forth seemed to set the rhythm for the day. And the kids just ran through the woods and down to the stream, making up their own games and generally keeping out of the way. But you always heard the mid-day summons – one of the women would call out, “Dinner!” and you went running back to the foot of the row where your mother was working, and where she would now be pouring tea or juice, and getting the sandwiches out. "Dinner" was lunch, in those days, and what we call dinner now, was called tea – yep, “tea” was your evening meal, meat, potatoes and two veg. That’s how it was in the country, then, the nomenclature was different. So, during the summer of my seventh year, I became one of the working women, picking my blackcurrants, having my fruit weighed and checked by the farmer, who noted my accomplishments in my book, so I could see it all mounting up. That Cinderella watch was getting closer. Eventually blackcurrant picking ended and I had earned the grand sum of one pound, eighteen shillings and sixpence, which was handed to me by the farmer in a small brown envelope. We decided it would be best to buy the watch in Maidstone, the country town, and we would go on market day – market day was always fun, and in any case, the Cinderella watch might be cheaper at a jewelers in the big town. By coincidence, my uncle and aunt and three cousins were staying with us, so we set off, all nine of us, on the bus to Maidstone, about twenty miles away. It was a long journey, marked by my cousin Larry throwing up out of the bus window. As soon as we arrived, I could not wait to get to the shop, so my aunt took my then toddler brother, and my parents and I went to the jewelers. There was a Cinderella watch in the window. Even writing this, I still feel the goose bumps that prickled my skin as I peered at that watch. We went into the shop, and the man behind the counter asked my parents how he could help them. Dad put his hand on my shoulder, and informed the man that I was his customer. My head barely reached the top of the counter. I explained that I was interested in a Cinderella watch. He smiled, then pulled back a red curtain to reveal the back of the window display. He leaned in and took out the watch. I gasped. It was beautiful. He set it in front of me, and I touched the glass shoe with my finger. “How much is it?” I asked. My parents were at the other side of the shop – this was my money to spend, and they were letting me get on with it. I swallowed, and looked over my shoulder. My dad nodded and smiled. I looked up at the man. “I’ve only got one pound, eighteen and six to spend,” I said, turning away, hoping the tears would not show. My parents were standing behind me now. “When you buy this watch, what you’re really paying for is the picture on the face, and this glass shoe. I would imagine a lady like yourself would be interested in something of quality, something that will last. I nodded and turned around for back-up. “The gentleman’s right, Jackie,” said my Dad. The man reached into the window again and took out two watches, one a plain silver watch with a round face, neat figures and a black leather strap. My eyes met his. I could barely speak. He nodded towards my wrist, and I lifted it up towards him. “There,” he said, placing the watch on my wrist, pulling the leather through the buckle. “Very elegant, I would say. “How much is it?” I asked, feeling the exquisite weight of the timepiece. I turned to my parents. “Do you like it?” said my mother. I nodded, and ran my finger around the watch face. I decided to wear it. Now it was time to hand over my hard-earned cash. I took my small plastic coin purse out of my pocket, unzipped the top and tipped it upside down on the counter. Coins fell across the glass, along with a neatly folded one pound note. I cannot pick fruit now without thinking of that watch, or of the lesson my parents taught me – that if you want something very much, to earn with your own hard work is a sweet accomplishment. I even wore the watch to bed that night and was indulged by my family, my aunt and uncle and my cousins, who kept asking me the time. I have to confess, though, I dreamed of a glass shoe that night. I would have loved a glass shoe. We must be close in age, because I remember that very watch, and the glass shoe, as well. And the shoe really was fascinating. Couldn't you just imagine yourself wearing it, and the handsome prince coming along at just the right time? 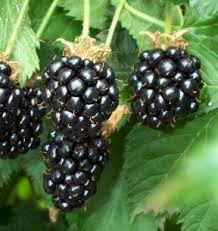 I'll be picking blackberries on my farm this week, and I'll be thinking of you, Jackie. Thanks for sharing this great memory. Weren't they lovely watches? Did you ever get one? It would have been such an indulgence, and I think the memory is all the sweeter for not actually being able to own the watch - I just yearned from the other side of the shop window! Yes, they were really sweet. But I never did get one. In fact, I don't think I had a watch until high school. Nowadays there are so many licensed products, but the Cinderella watch was unusual back then. My grandmother had raspberry bushes in her yard. I used to eat the berries right off the vines. No pesticides, just a little dust. Nothing like the fragrance of fresh berries. I always wanted a Mickey Mouse watch but my parents couldn't afford that. When I was an adult I finally bought one but it wasn't an original. It was so long ago now that it still qualifies as vintage! As someone else commented, we must be close in age. I remember getting a Cinderella watch for Christmas one year. My aunt bought it for me. Well, judging from the responses here and on my Facebook page, a lot of readers managed to get their hands on a Cinderella watch - I bet there were far more distributed in the US, and I also bet they were cheaper too! Isn't it lovely to share an experience in this way - all from different places, but so many things the same. Patty, I have to say, I think even at my age I'd have fun with a Mickey Mouse watch! Love the story but oh how I hated the picking. I can't say why for sure but it was my least favorite job, ever. I was given an Alice in Wonderland watch when I was about 8 (1960) and I still have it! It has gone through several bands but I have also worn it as an adult. And I grew up 20 minutes from Disneyland. The first item I remember paying for myself was dish towels and an apron for my mom for Christmas. That was about the same time. I was so proud! I was more excited about her present than about my own presents. Thanks so much for your comments - amazing how many people remember those old Disney watches, before merchandising as we know it today really took off. I guess it took off for those of us who had or really wanted Cinderella, Alice and Mickey watches! Great lesson. And your memory is flawless! Paul, my flawless long-term memory scares the heck out of me, probably more than the loss of my short term recollections.